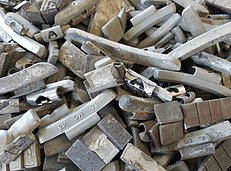 Ferrous Metals are often magnetic, offer little if any resistance to corrosion, and are made up mostly of Iron, but can also include small amounts of other elements or metals that are added for strength, durability and other properties. 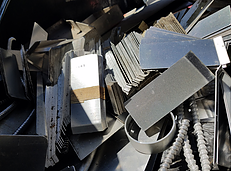 Also see Non-Ferrous Metals or All Metal Types for more information on metals we accept for recycling. Free of foil/tin/plastic/liquid/ garbage/etc. Can be crushed or whole. 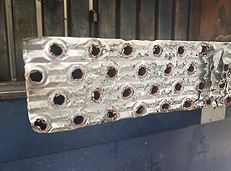 Extruded aluminum without other materials or metals attached (non-magnetic). Must not contain other alloys of aluminum and be free of zinc corners, iron attachments, felt, plastic, paper, cardboard, and thermo break. 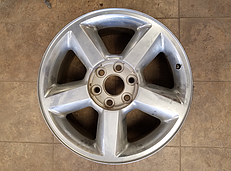 Aluminum rims without the lead wheel weight, valve stem or tire. 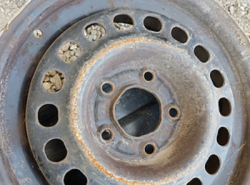 Free of rubber tire/dirt/attachments. Free of Lead Wheel Weights and valve stems. Non-magnetic sheets of aluminum, without other materials or metals attached. No plastic/steel/glass/dirt on the material. Clean aluminum siding without screws, other metals or materials attached. Window Frame, Aluminum Siding, that has been painted. Free of plastic coating, iron, dirt, corrosion, fiber, foam, or fiberglass backing or other non-metallic items. Aluminum turnings (produced from drilling holes in holes in aluminum) without other materials or metals. 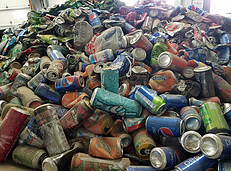 The excess from machine cut aluminum free of oil or steel. 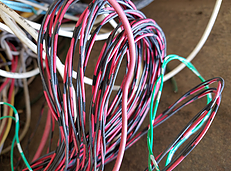 16 gauge or thicker Bright copper wire free of solder, paint, or other materials/metals. 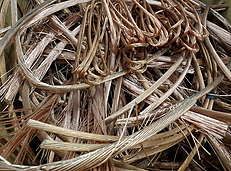 Bare, uncoated, unalloyed copper wire free of attachments. All the insulation has been removed from the wire and it is free of solder and paint. 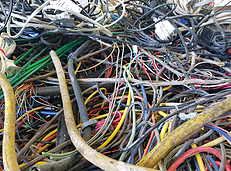 Bare bright wire should not have any plastic on it and should never be burned. No holes, battery intact. Labeled "PB" on fine print. 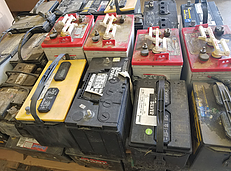 The most common place you can find a lead battery is in a car. Yellow or Red Brass that has other metals or materials attached. 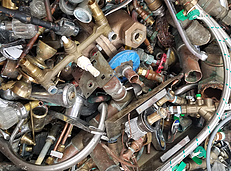 Red brass scrap, valves, machinery bearings and other machinery parts, including miscellaneous castings made of copper, tin, zinc, and/or lead. 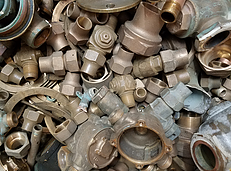 Mixed Brass castings, taps, valves, rod brass, chrome plated brass. CAT 5/6, Data wire, Insulated copper with plastic. Very thin copper wire. Examples: Telephone wires. 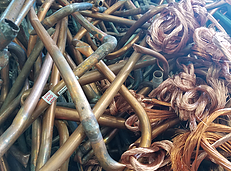 16 gauge or thicker bare copper wire or copper pipes without solder or fittings. May also include uncoated, bare, unalloyed copper pipe/bus bar without any attachments. 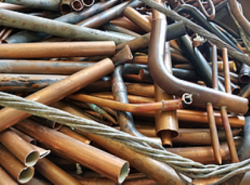 The pipe must be free of paint, solder, corrosion, or brass fittings attached to the pipe to be considered #1 copper. 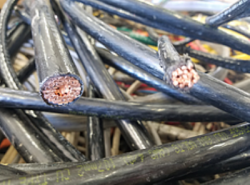 Copper wire less than 16 gauge with no coating or copper pipes with solder or fittings. Bare, uncoated, unalloyed copper wire. 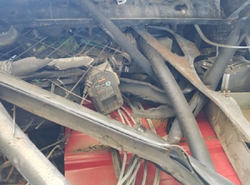 All the insulation has been removed from the wire. May have some solder and paint. 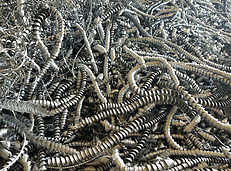 Thinner than 16-gauge copper wire with insulation (coating) Typically 45% to 55% recovery. 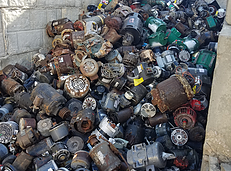 Various sizes of electric motors that are copper-wound without heavy steel attachments (pumps, bases, loose iron). Lead Wheel Weights and valve stems. 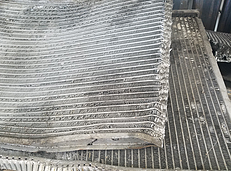 Clean aluminum radiators (without other materials or metals attached). 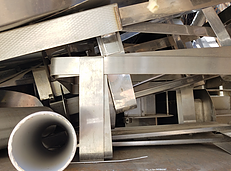 Clean aluminum radiators and condensers free of other types of radiators. Clean Copper & Aluminum Radiators with no other materials or metals attached such as brass, iron or plastic. 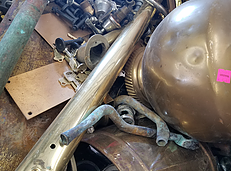 Copper/Aluminum or Copper/Brass Radiators with other metals or materials still attached. Consists of Non-magnetic stainless steel but allows for small percentages of plastic and contaminants. Must be at least 50% stainless steel. Example: Stainless kitchen knives with wood or plastic handle. 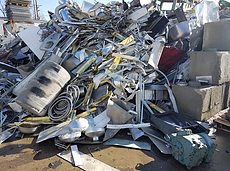 Types of tin and steel accepted for metal recycling. 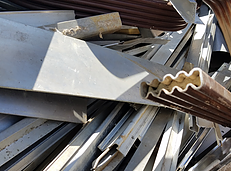 Types of unprepared steel and iron accepted for metal recycling. 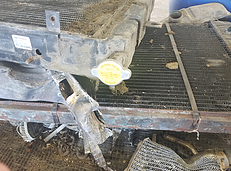 Service Area: Cedar Rapids, Iowa City, Marion, Coralville, Waterloo, Delaware, Anamosa, Vinton, Monticello, Tipton, Kalona and surrounding communities.